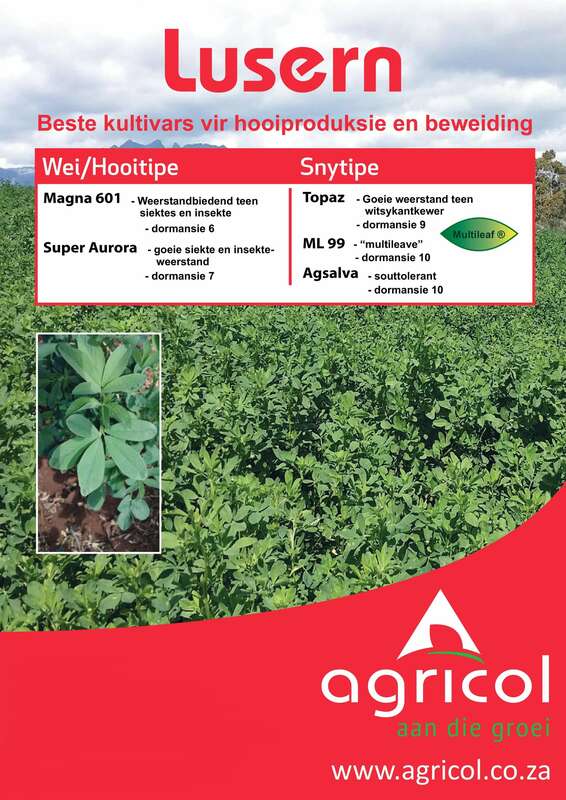 Click here to view the 2016 Agricol Lucerne pamphlet (in Afrikaans only). 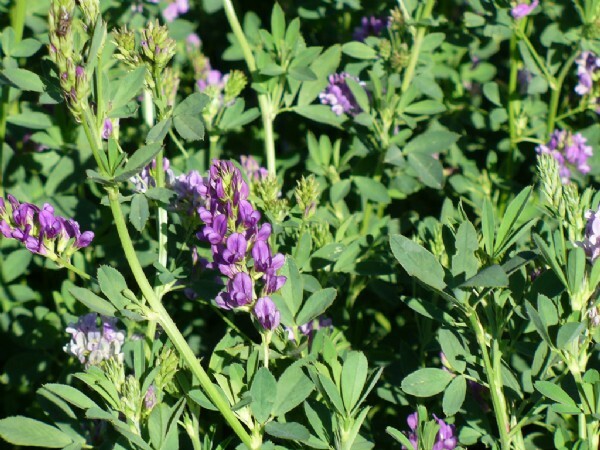 Lucerne is a Perennial Summer Legume which is well adjusted to perform in almost all areas of South Africa. It is widely adopted but prefers deep, well drained soils with neutral to high PH. It can be sowed in clean, well prepared soils at a density of 25-30kg per ha under irrigation. It is advised that seeds must be treated with Rhizobium Bacteria. Lucerne can produce high yields from 18-30 tons of dry matter per ha per season when properly irrigated and given enough fertilizer. It uses 21kg K, 13kg Ca, 2.7kg Mg, 2.7kg P, 2.7kg S and 25-30kg N to produce 1ton dry matter. 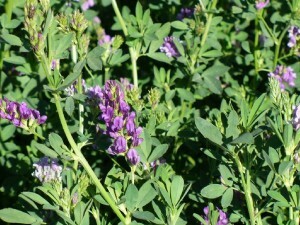 Optimum Planting Date for Lucerne is from February to May. High Resistance to Blue-Green, Pea and Spotted Aphids. High Resistance to Pea and Spotted Aphids. High Resistance to White Fringed Beetle. High Resistance to Blue–Green, Pea and Spotted Aphids. High Resistance to Phytopthera and Pea and Spotted Aphids.